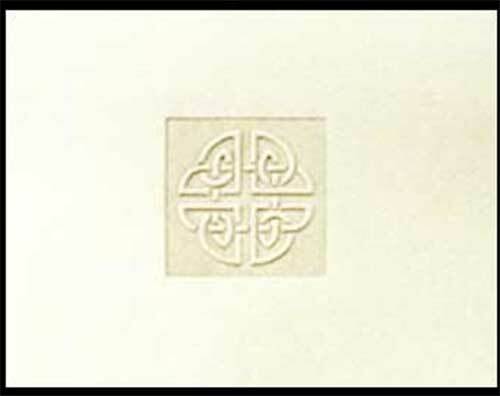 These Celtic cards feature an embossed, natural white on white, knot-work motif; they are blank inside for your personal message. The Celtic knot cards are made of heavy stock and measure 5 1/2” wide x 4 1/4” tall; each box contains 10 cards and envelops. The notes are made in United States and included a Celtic knot history card, complements of The Irish Gift House. The intricacy of Celtic designs and the pattern of intertwined lines bring together the beauty of the spirtual and the natural as seen by the anceint Celtic artists. Originally created as adornments on weapons, personal jewelry, vessels and books, these same Celtic designs are still cherished today."